Some of us tend to procrastinate in packing their stuff before camping, hiking trips or even picnicking because it can be dreadful to pack things. Most hiking backpacks have a lot of compartments, so the packing task can be confusing which makes you give up. Good thing we have some tips on how to pack a hiking backpack that can be helpful for you in case you are going on an out-of-town trip in the near future. First, we have to discuss the parts, compartments or features of the usual hiking backpack. We know there are several types out there, but we are just going to state the basics. Come to think of it, let’s discuss the major types and their typical features. Backpacks following the internal frame design focus on one big compartment. Then, they just have a few smaller compartments. Their padding is heavy-duty for ultimate support and comfort. It aims to rest against the strongest part of your back. The disadvantage of internal frame backpacks is how difficult it can be to find small items inside. However, the big compartment is very useful if you pack jackets, pants, beddings, pillows and other things that occupy a lot of space. 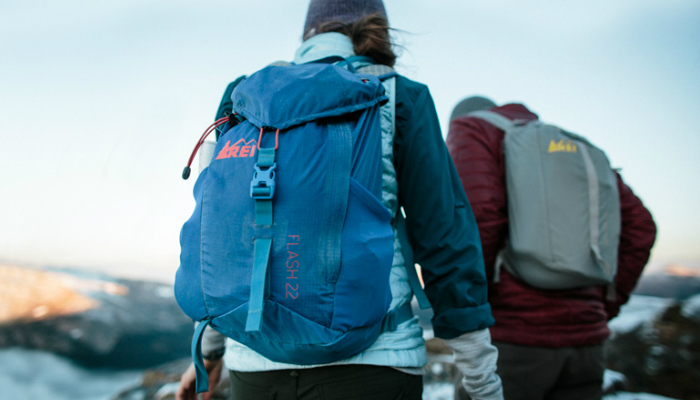 Because of several small compartments, external frame backpacks are perfect for hikers who value organization. They also have straps, grips, clips and other bonus external features for gears. They usually do not rest against the back which some people may find even more comfortable. You can easily adjust this backpack to fit your body type. The downside is that gears strapped outside external backpacks can be overwhelming caused by problems on even distribution of weight. This is the smallest type of hiking backpack. Daypacks are normally used as a school or work bags. They do not have a hip belt for security because they are so lightweight. You can use this type if the trip only takes a couple of days. In order to achieve even weight distribution, we must look closely on the type of hiking backpack you have. 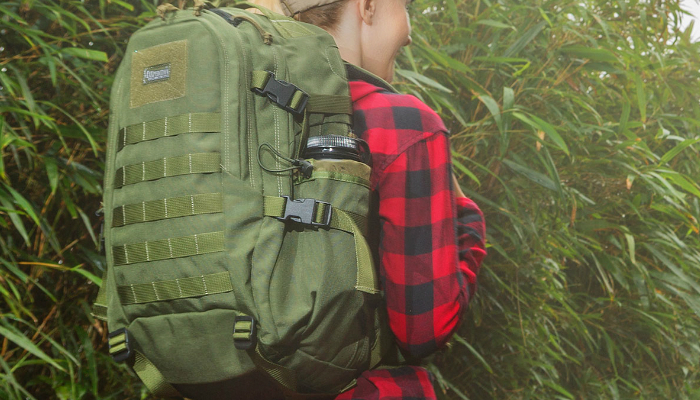 Daypacks are no problem because they are a lot smaller than average hiking backpacks. 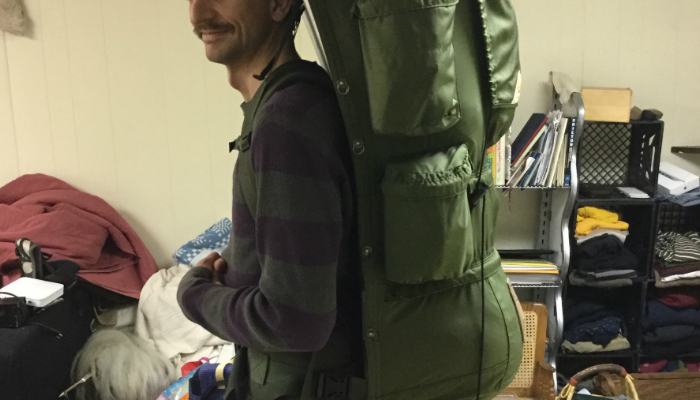 With bigger backpacks, however, it is a challenge to properly distribute weight. When it comes to hiking on simple trails, internal frame backpacks need you to put heavy objects at the center, specifically the shoulder blades and back. You will be more comfortable if the weight is focused on your hips. But, on a more challenging terrain, heavy objects should be at the lower back. That aims to lower your center of gravity to balance you on slopes. On the other hand, external frame backpacks are for trail hiking alone. Heavy objects must be on top while staying close to the back. 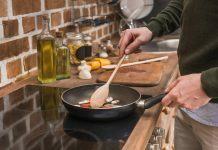 This is to ensure that your hips will handle the overall weight. Why? Your stance while trail hiking should be upright all the time. For both types of hiking backpacks, items with medium weight like stove, first-aid kit and water filter must be at the center as well but far from the back. Lastly, ones with the lightest weight such as clothes and sleeping bags must be placed at the lowest part of the backpack. Properly distributing weight does not always mean that you will have an easier time hiking. The total weight can overwhelm you, of course. 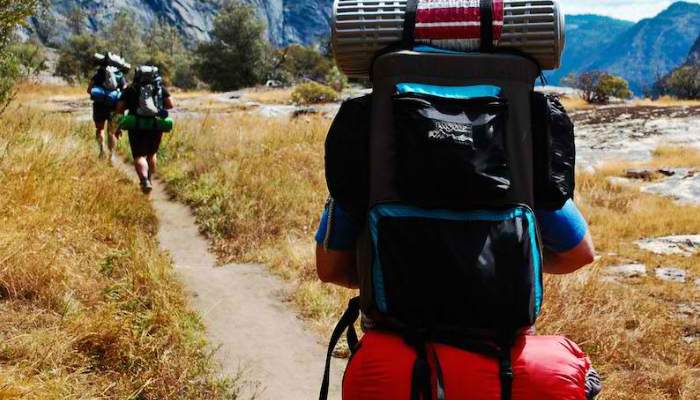 Your hiking backpack should not be more than 30% of your body weight. But, if you are quite skilled in backpacking, weight limit will not bother you. Meanwhile, beginners and hikers who are less fit than pros must follow the limit. To avoid confusion, place all your items on your bed or table first. This ensures that nothing will be left at home. It also helps you organize the items by weight. Stuff bags or zip locks are good in securing small objects like utensils if you have an internal frame backpack. They can even be color-coded. Items that spill such as fuel for cooking and saucy food must be placed inside the hiking backpack. During organization, place bigger items first inside the hiking backpack’s biggest compartment. Then, if there are spaces, put the small items there. Do not forget about weight distribution. A fun tip is to put clothes inside pots and other items with internal space. Most needed small items during hiking should be put on external compartments. 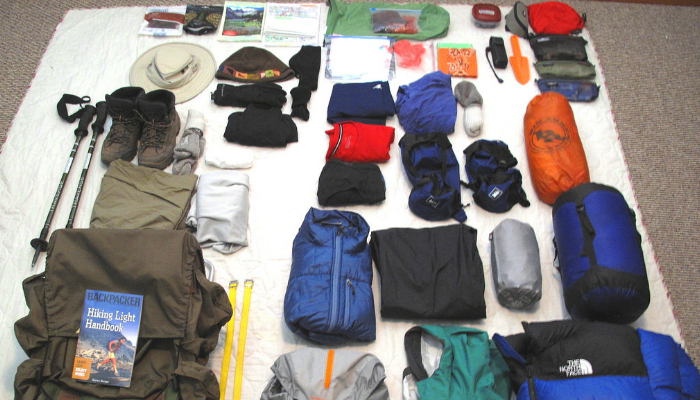 Examples are headlamps, raincoats, snacks, insect repellents and GPS. Prioritize the top lid and front pockets. 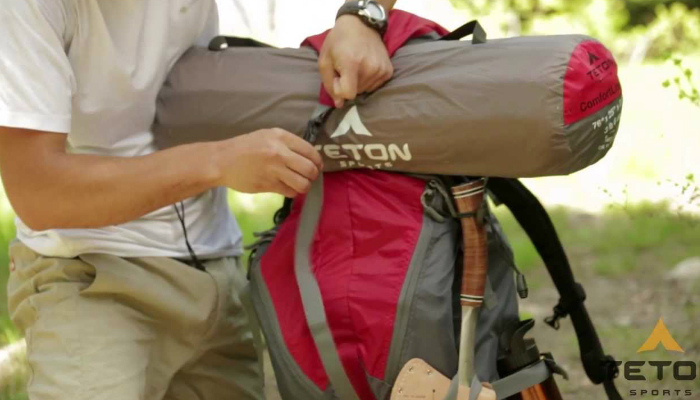 After filling up your hiking backpack, tighten every compression strap to avoid shifting of weight. We do not recommend attaching gears outside your hiking backpack if it is not really necessary. If everything can fit inside compartments, then do not attach something outside the backpack anymore. 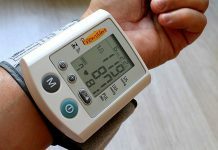 However, if you have irregularly shaped items such as unique backpacking pillows, or camping chairs, you can resort to external attachments. After all, it is important to utilize the backpack’s internal space wisely. Weird shaped objects can disrupt the harmony of space inside the backpack. Just brace yourself when you attach heavier objects outside the hiking backpack. These items can affect your movement and balance, especially when you need to climb a slope. They tend to get stuck on sharp plants and thick bushes. They also rattle or swing excessively when you make big movements. If you really need to attach something, at least make hiking easier by attaching another object with a similar weight on the other side or balancing the whole item well across the backpack. For example, you can attach the trekking poles vertically on both sides. You may use the part underneath the compression straps or inside pockets for water bottles found the backpack. Just make use of what is available in your hiking backpack. Talking about balancing a long item across the whole hiking backpack, you can strap tent poles horizontally to cater both sides. You can also do that with the whole collapsed tent and rolled sleeping bags or pads. Regarding the sleeping bag, however, check features of your backpack first because you might find a compartment specially made for it. Some backpacks give importance to air-filled sleeping bags to avoid puncture. Now, if you are really desperate to use only one hiking backpack despite your equipment, then focus on equal weight distribution. We recommended strapping heavier items higher to avoid them pulling you down. Make use of the straps from the top lid, if available. Learning how to pack a hiking backpack is not too hard. The keywords are organization and comfort. In order to achieve comfort, you must follow proper weight distribution inside and outside the backpack. Start the fun before the trip starts through clever packing!